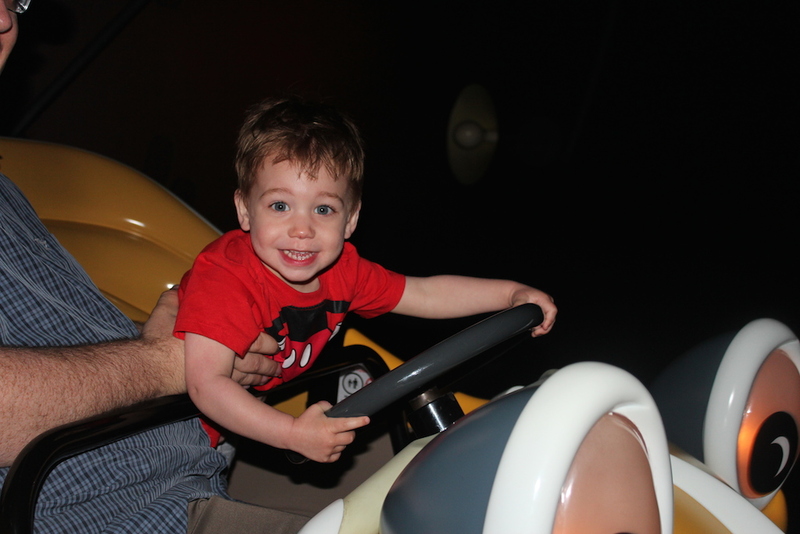 My husband, son, sister and I were lucky enough to visit the Disneyland Resort in Spring 2014. 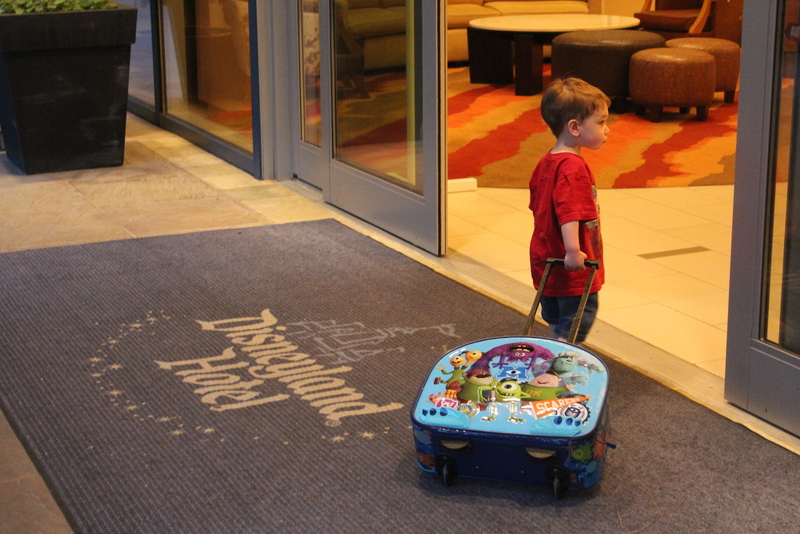 Spending four nights at the Disneyland Hotel, we checked in late on Monday night after spending the day at Sea World. We were all so excited to be in Disneyland and the Disneyland Hotel was spectacular. I shared my review of the hotel in a previous post. Early the next morning we made our way to Disneyland Park. It was Magic Morning. This is not to be confused with Extra Magic Hours. Anyone who buys a 3-day park-hopper ticket gets a Magic Morning, where they can enter Disneyland Park early. We did not realize this wasn’t exclusive to just hotel guests like at Walt Disney World and were shocked to see an enormous crowd of people. 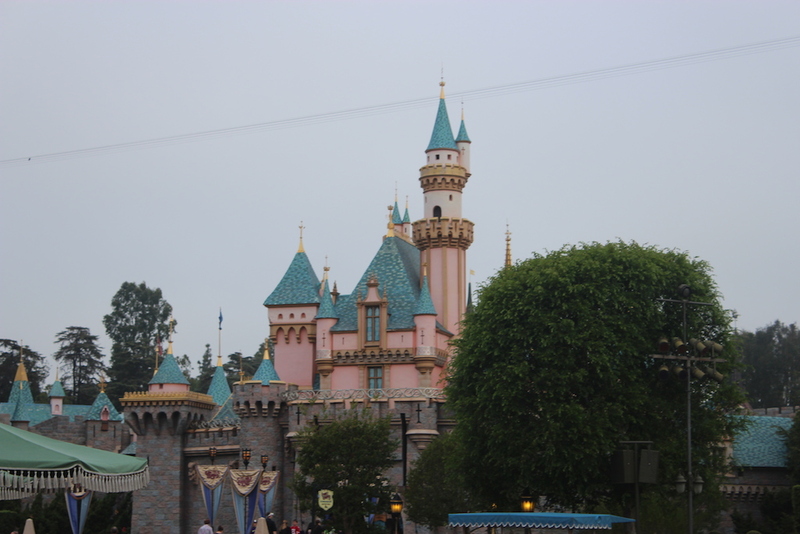 If you are a Walt Disney World vet you will be a little shocked when you see how tiny the Sleeping Beauty Castle is. I find it charming and it is actually an attraction. There is a walk-through of the castle that tells the story of Sleeping Beauty. During Magic Morning only certain areas of the park are open, so we were kind of “stuck” in Fantasyland. We started out with the carousel, my son, Anthony loves any and all carousels and this one was no different. One of my favorite things about Fantasyland in Disneyland Park is the fact that there are so many attractions that are unique to that park. We made it a priority to ride these first. Pinocchio’s Daring Journey was the first of these we rode. 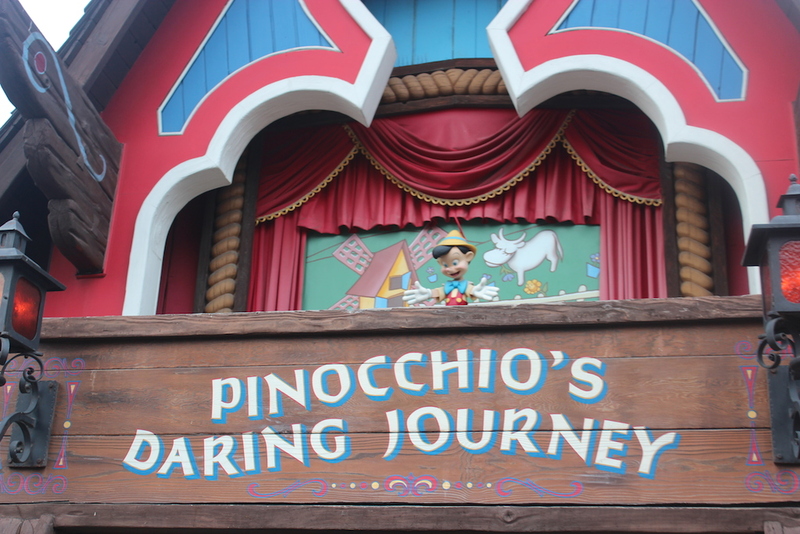 It’s a typical dark-ride attraction that retells the story of Pinocchio and it’s adorable. After riding Pinocchio, we walked past the Anna and Elsa meet and greet. 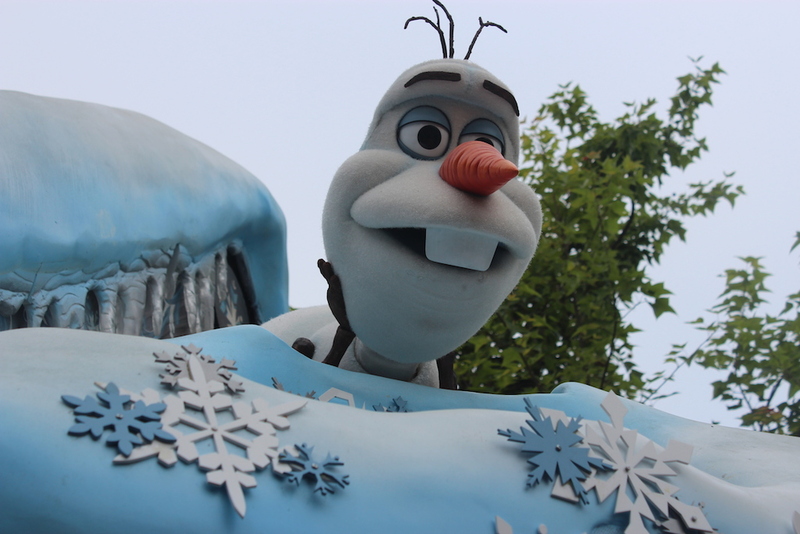 Olaf was on top of the building talking and that was good enough for Anthony. No need to wait in the 300-minute line. We rode the tea cups, which are the same as Disney World’s, however they are uncovered. 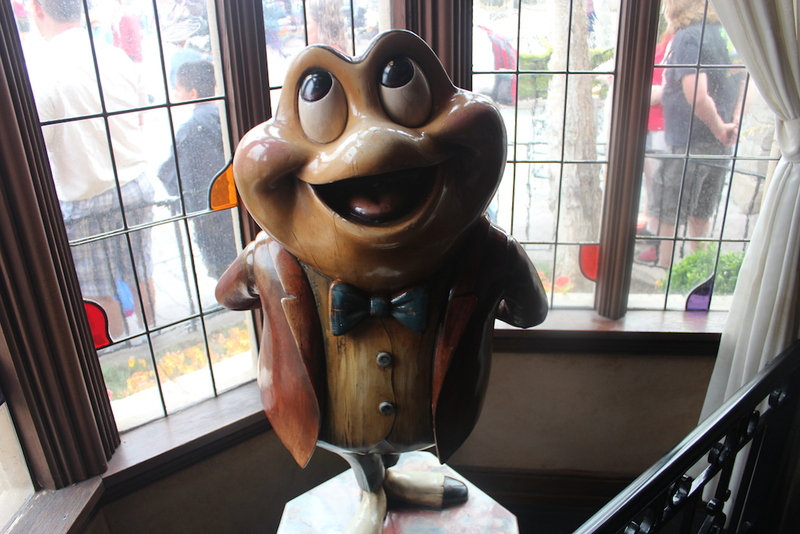 Next, we went and visited Mr. Toad. There are many Disney fans who are upset that this attraction is no longer in Disney World due to the addition of Pooh, so we had to go and give this ride a whirl. The Storybook Land Canal Boats are a favorite of mine. You hop into these little boats and go through Monstro from Pinocchio and are transported to a land where you float by miniature recreations of the classic movie stories from the Disney catalogue. Another attraction unique to Disneyland is Casey Junior… yes you can ride on Casey Junior. We were actually in the monkey cage. Casey Junior’s tracks go by Storybook Land so you see the miniature scenes from a different perspective. 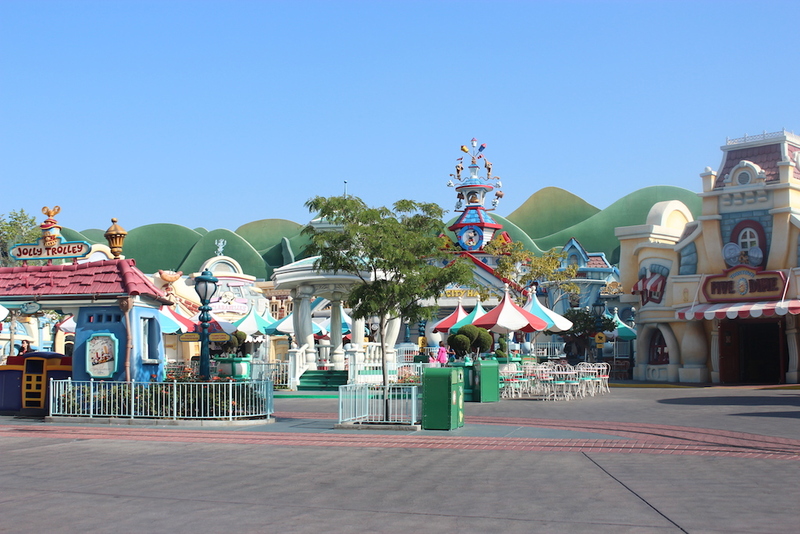 The last objective for the morning was to visit Toon Town. Yes, they still have one! My favorite part of Disneyland in general, but specifically here, the characters are around to hang out and play. There are no scheduled meet and greets, no photographers, and sometimes no lines! 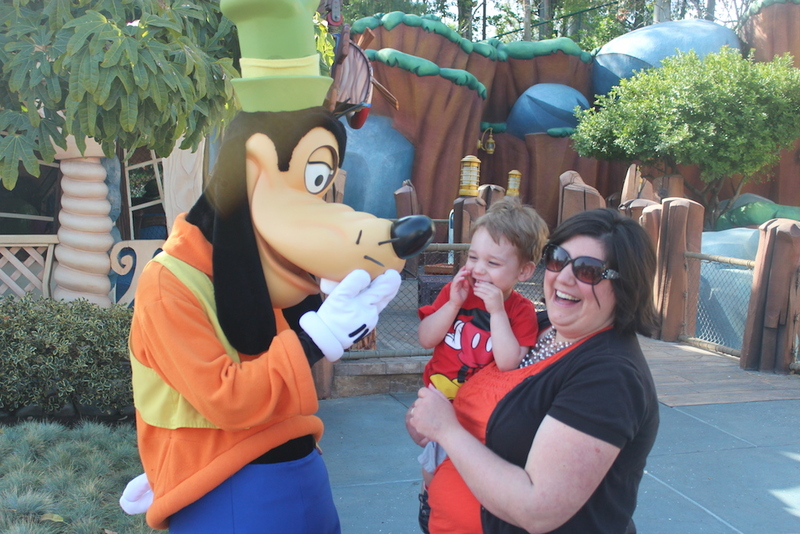 We had so much fun with Goofy and he spent a long time entertaining Anthony. 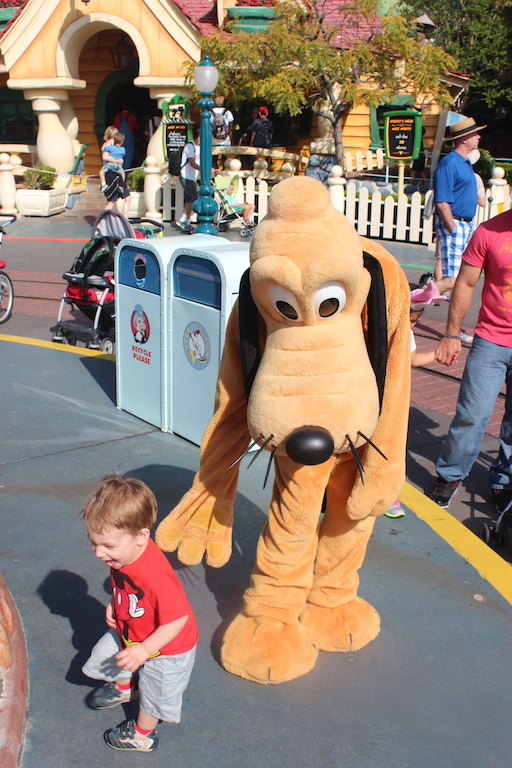 Anthony loves dogs, and he loves Pluto and chased him around spontaneously. Lastly, Toon Town has Roger Rabbit’s Car Toon Spin. We drove in taxi cars and spun around trying to get away from the “dip.” This is Part 1 in a series on my family’s trip to Disneyland. Keep a look out for Part 2 next week! 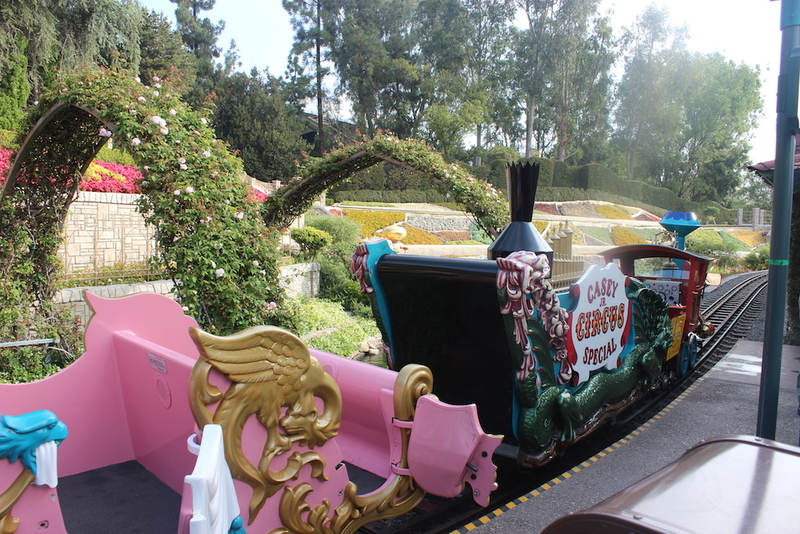 This entry was posted in Disneyland and tagged casey jr, Disneyland, fantasyland, magic mornings, mr toad's wild ride, storybook land canal boats, toon town by Dana. Bookmark the permalink.